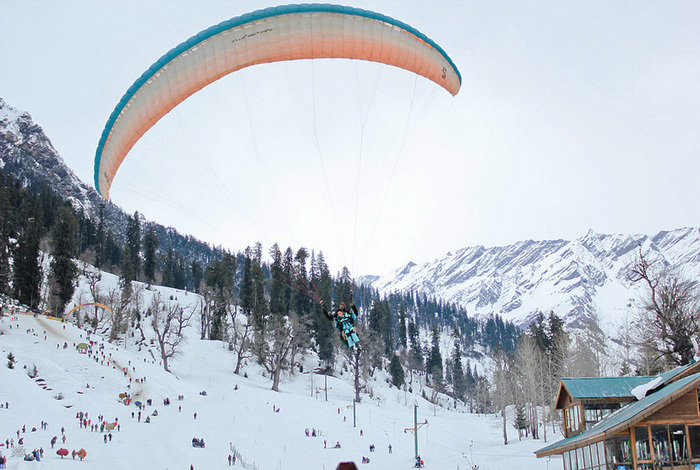 Considered as a most popular hub for outdoor and other recreational activities, paragliding in Manali is a memorable experience. Starting with a basic training course, the operators are well organized, competent and trustworthy. The surrounding valley is breath taking and the view you will get during your flying session of 5-45 minutes, depending upon the package you opt for, is simply beautiful.